How many lashtalians are (c)OTO members? This topic contains 83 replies, has 16 voices, and was last updated by Tiger 6 months ago. Home › Forums › Thelema › Thelema › How many lashtalians are (c)OTO members? From the 4 features listed at the top of on Lashtal’s front page at the moment: does anyone know where there’s a transcript of Gunther’s curiously entitled presentation “Messianism in the Aeon of the Child” which was listed to take place at the 2017 “London Working” – which I was unfortunately not able to attend – held in a suite at the celebrated Columbia Hotel (which by an interesting coincidence was also the exact location thirty years ago of the first “O.T.O.” London Bennu Bird Oasis meetings I organized way back in the late 1980s. Glad to have helped “pave the way” there…)? Could the address possibly have been meant to have been delivered from a, um, first person perspective? Regrettably it seems that the talk itself – scheduled as the climax of the weekend’s whole “Working” – was removed by someone for some reason from its pride of place as the last talk at nearly the last minute, along with the similarly enigmatically titled “Who Am I and what shall be the Sign?”, both replaced by the rather more anodyne and frankly relatively much more boring sounding trot through “The Forces of Life”. Or maybe it was meant to come across more in the way of a “How To” Guide (How To Identify, How to Become, one etc) from an “it takes one to know one” position? From what I have read Gunther’s outlook, despite all of the statements or protestations made to the contrary, seems to be from an irredeemably Old Aeon perspective upon the New which has not been “abrogate”. Far from crapulous creeds being cursed, it seems to be more a case of ‘carry on, jolly good show’. If J. Daniel Gunther really is the new (or latest) Messiah, don’t you think we should all be told about it? For our own good, I mean… It’s bound to be of particular interest to the Chief Rabbi and the Pope, too! This reply was modified 7 months, 1 week ago by Jamie J Barter. That lineage (under discussion here) started with Marcello Motta. Need I say more? I could have said more myself (and was slightly exaggerating by saying “irredeemably”, etc) but was rather hoping that thereby I might goad some defenders of JDG into sticking their heads above the parapet and shooting off. To be fair to him, Gunther does mention in his books that spelling of INRI is defunct and that LVX has been replaced by NOX; I even think (though can’t be sure as I don’t have text to hand to check it up) ) that he likewise mentions IAO as having been superceded by FIAOF. But these can all be looked on as exceptions which go to prove the general rule. Namely, that his outlook upon the New Aeon is from a peculiarly sympathetic rather than condemnatory Old Aeon perspective. Come on, now! — does anyone want to take issue with that, or do I speak the truth? To be fair to Motta, I don’t think his outlook could be called pro-Christian in any sense, and he would have had no truck at all with any attempts at sympathetic revisionism.. Didn’t he recommend the uttering of “Apo pantos kakadaimonos” by Thelemites upon seeing a cleric of the old religion? (or am I getting him mixed up with Amado Crowley? again, the texts are not to hand). But what I want to know is how and why, all of a sudden since his passing Motta’s stock has soared and he is “Mister Can Do No Wrong” as far as the relevant upper echelons of the “O.T.O.” are concerned? After the (co)OTO spent a great deal of money on suing Motta over who was the “true” OTO, and thus (all concerned thought) heir under AC’s will to the lucrative AC copyrights (particularly the US Games income from the Thoth deck), it turned out that they were fighting over nothing, since AC died a bankrupt. The Californians subsequently bought the AC copyrights from the UK bankruptcy authorities. Some time later, an A.’. A.’. imprimatur was thought necessary or desirable for the (c)OTO, and so Motta’s ex-disciple, Brother J. Daniel “Handsome Dan” Gunther, became the new “duplex” A.’. A.’. Chief, and alleged “World Teacher”, and/or “Messiah Of The New Aeon”. This may be because W.’. T.’. Gunther is high (c)OTO official James “Bang-Bang” Wasserman’s A.’. A.’. superior, and i think also the (c)OTO OHO’s A.’. A.’. superior as well. The normal A.’. A.’. idea is that, having resigned, one has opted out of the Order for the current incarnation. By this reckoning, W.’. T.’. Gunther has not been a member of what is sometimes called the “temporal” A.’. A.’. for 26 years. His Eye has been closed for this incarnation; one blushes to think what may have happened to his Pyramid. 2) Neophyte 1=10 (if we take Motta’s own word for his (Motta’s) being in fact a Zelator 2=9). This reply was modified 7 months, 1 week ago by ignant666. 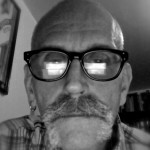 ignant666: “… Gunther, became the new “duplex” A.’. A.’. Chief, and alleged “World Teacher”, and/or “Messiah Of The New Aeon”. 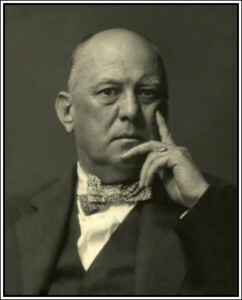 The Aiwass mentioned within AC’s The Book of the Law, can be the ‘Messiah’ described by J. Daniel Gunther as “another Magister entirely [than Aleister Crowley], individual and unique, insofar as such terms apply above the Abyss.” (Source: Page 124 and 125 in the first edition of J. Daniel Gunther’s Initiation In The Æon of the Child – The Inward Journey, published 2009.) If this Gunther understands this Aiwass as having dictated the original handwritten text to this The Book of the Law to AC, as claimed by the latter, and if it is this Gunther’s conviction that this dictation came from ‘above the Abyss’. Yes, no doubt it “can”, could, or might be, but whether in fact it “is” is – as that nice young man Donald Trump might say – a whole new ball-game. It is not a statement of fact, but merely a matter of opinion. In the same way, the notion that The Book of the Law is a reformation (or reformulation) of the “law of God” as expressed through the “Christian Bible” remains an opinion held by Big Beasts such as Wasserman and yourself, though one that I happen to find ludicrous. If I’m not mistaken, Motta sued the McMurtry OTO. The (c)OTO spent its money on defense … and probably counter-suing. Motta lost, of course, but then somehow his 4 primary disciples moved over to the (c)OTO camp. I’m very fuzzy on how this “transition” took place. Thanks ignant666 for that additional information. The document you quote is sympathetic to the claims of the Seckler A.’. A.’.. specifically the Shoemaker recension: would it be too cynical to suggest perhaps it was written by them? There still seems to be a lack of direct documentation though. For instance, what was it that Lon Duquette actually came across that motivated him to make his declaration of non serviam? If this Gunther understands this Aiwass as having dictated the original handwritten text to this The Book of the Law to AC, as claimed by the latter, and if it is this Gunther’s conviction that this dictation came from ‘above the Abyss’. Motta lost, of course, but then somehow his 4 primary disciples moved over to the (c)OTO camp. I’m very fuzzy on how this “transition” took place. I think it was a mixture of Motta’s charmless over-the-top foibles within his personality combined with the comparatively easy-going bearing of Grady McMurtry, combined with his tempting them forth with offers of IXth degrees and Lodgemasterships, plying them with drugs and alcohol and generally being more approachable, with-it and a party dude than their uber-strict A.’. A.’. superior. Also, I don’t know how much Motta had to do with driving them to it, but it’s surprising how many of his [C].O.T.O.-defectees/ex-disciples turned out to be heroin addicts as well. This is largely conjecture however. Does anyone have anything else more illuminating on this deal-changing epoch-making great “transition”? @shiva, @Jamie J Barter, et al. 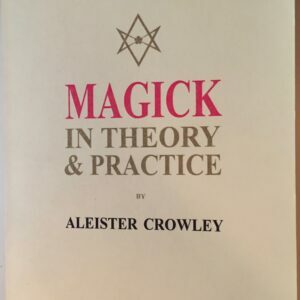 In 1983 e.v., Marcelo Ramos Motta brought a civil lawsuit against Samuel Weiser, Inc., for copyright infringement in the matter of works authored by Aleister Crowley. Society OrdoTempli Orientis, a corporation, Thelema Publishing Company, a corporation, Marcelo Ramos Motta, an individual, Defendants. William Breeze – Plaintiff in the California trial, once a Probationer in the A.·.A.·., was cut contact with by Marcelo Motta; later became the “successor” to Grady McMurtry in the position of “Caliph” of the fake “O.T.O.” outfit. Maine case; subsequently failed his Ordeals and testified against Mr. Motta in the California case. The fourth “primary disciple”? 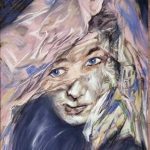 It could had been either late Richard Gernon (d. 1989 e.v. 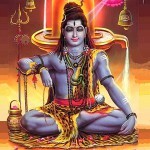 ), or one J. Daniel Gunther, or … only Shiva knows. 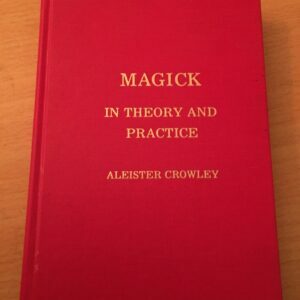 Me, wellreadwellbred: “The Aiwass mentioned within AC’s The Book of the Law, can be the ‘Messiah’ described by J. Daniel Gunther as “another Magister entirely [than Aleister Crowley], individual and unique, insofar as such terms apply above the Abyss.”“, within this Gunther’s book Initiation In The Æon of the Child – The Inward Journeys. The title of this thread is “How many lashtalians are (c)OTO members?”, and among “(c)OTO members” there will be knowledge with respect to how the said statement is understood with the (c)OTO. That is, are core doctrinal statements in a new A.’. A.’. “Class B” text (Initiation In The Æon of the Child – The Inward Journeys), authored by one J. Daniel Gunther, the leader of the only A.’. A.’. order on this planet accepted as legitimate by the (c)OTO, understood as authoritative within this (c)OTO? Not being a member of the (c)OTO, I wouldn’t know for sure. However, I doubt it. Several good friends of mine are long-term members, and they think for themselves rather than accept as “authoritative” views that come from this or that illustrious personage. 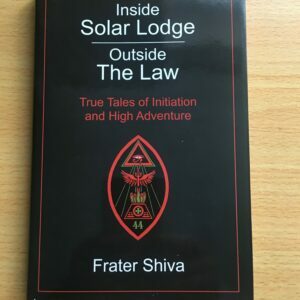 For instance, I recall that there was plenty of dissension within the membership over the kill/fill substitution by Breeze in The Book of the Law. I doubt that the notion of The Book of the Law being a reformation or reformulation of the “law of God” as expressed through the “Christian Bible” has much widespread support either. These are opinions, not papal encyclicals. it looks like the leadership of the (c)OTO have lost it. Exemplars of “Success is thy proof” they ain’t. Everybody in Agape & Solar Lodges copied it from him. This is correct. But Starr hardly “failed his Ordeals.” In Maine, Motta and Starr were walking towards the courtroom. Starr commented upon Motta’s disquieting demeanor. Motta turned to Starr and said, “Don’t you get it? I’m an alcoholic!” Due to Motta’s condescension and Dictatorship, Starr promised himself that he would see Motta through this (Maine) ordeal, and then he would leave. He did, and then he left. He joined with Breeze and Wasserman (after California), but also left BB’s ministrations because BB offered to sue him if he published a certain Crowley work. He went on to join other pilgrims and has flourished in his own right. He did not “fail his failed his Oredeals.” (We were comparing our paths, the part where we each bravely attended to one more task, and then left the domain of a guru/Grand Master who had lost his/her marbles.